These pictures have got female pulses racing as Poldark heartthrob Aidan Turner is seen during filming – holding a BABY. 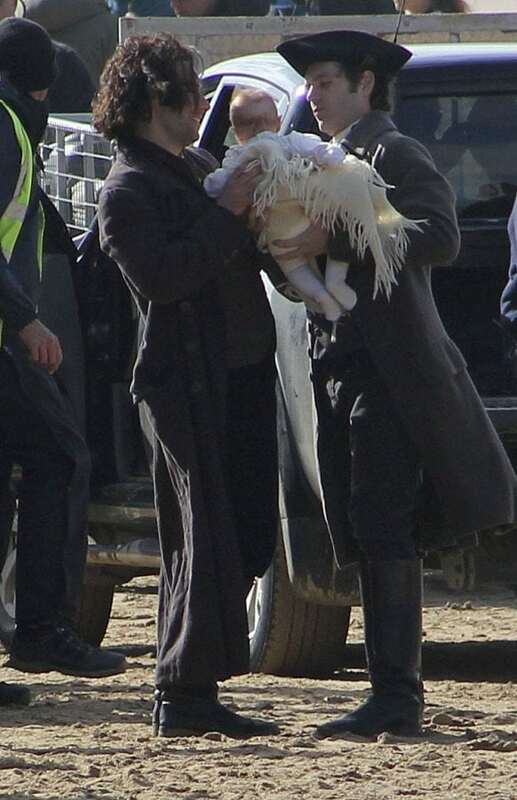 Aidan was captured cradling the newborn on set – sparking rumours among fans his character could become a dad in the next series. The cast and crew of the popular BBC drama have been spotted throughout Cornwall over the past week, filming in a number of locations. Aidan, who plays lead Ross Poldark, has already been seen on set sharing a kiss with his on-screen partner Demelza, played by Eleanor Tomlinson. 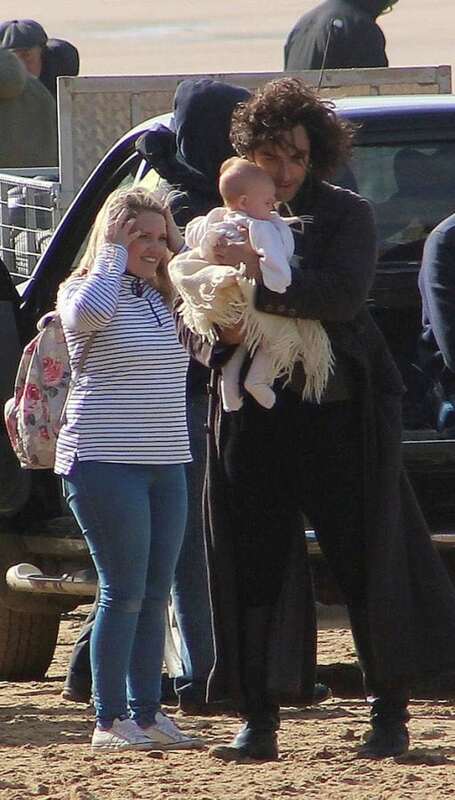 Aidan Turner is left holding a baby on set of the BBC drama Poldark, as a woman who is believed to be the mother looks on gleefully. Filming has resumed for season four of the hit TV hit set in Cornwall. But the pictures of him with a baby have fueled the rumours things are really set to heat up between the pair in series four. Fans have flocked to Facebook to share their excitement about the images with many woman going into meltdown at the site of a paternal Aidan. The pictures were taken by Craig Lloyd, of Willenhall, West Mids, who was holiday at the time. He said: “We were visiting our favourite beach at Holywell Bay and we could see a lot of activity near the rocks. “As we got closer we found out they where filming for the new series of Poldark. “I got out my binoculars and I could clearly see some of the cast in costume and then I spotted Aiden Turner take hold of a small baby so I quickly started snapping away. “I have had loads of reaction to the pictures on facebook. The women seem to particularly love it. 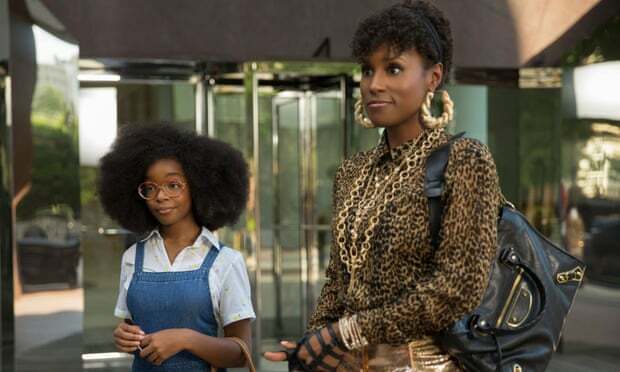 “I am not a fan of the show but my girlfriend is going to download and start watching from season one now. Other characters spotted on Holywell Bay in Newquay, Cornwall, include George Warleggan, played by Jack Farthing, Demelza played by Eleanor Tomlinson and Hugh Armitage, played by Josh Whitehouse. Next PostFrancis Bacon painting to sell for record…£60 million!